As one of JanSports larger backpack models, we have always considered the JanSport Big Student to be the big brother of the popular Jansport Superbreak. Unlike the Superbreak’s 25 liter capacity the Big Student touts a hefty 34 liters plus a wide array of pockets, organizers and even two main compartment instead of just one. Simply put, the Big Student is a true school backpack with enough organization and pockets to satisfy today’s busy students. Where the JanSport Big Student falls short is in the lack of a dedicated laptop sleeve. With more and more students relying on technology throughout their day it seems like an obvious oversight. But in recent years JanSport has introduced the Digital Student Laptop Backpack which is essentially the JanSport Big Student with a laptop sleeve. Even without a laptop compartment we consider to the Big Student to be one of JanSport’s best backpacks for school and one of our favorite school bags of any brand. At under $50 it’s a good value for the price. 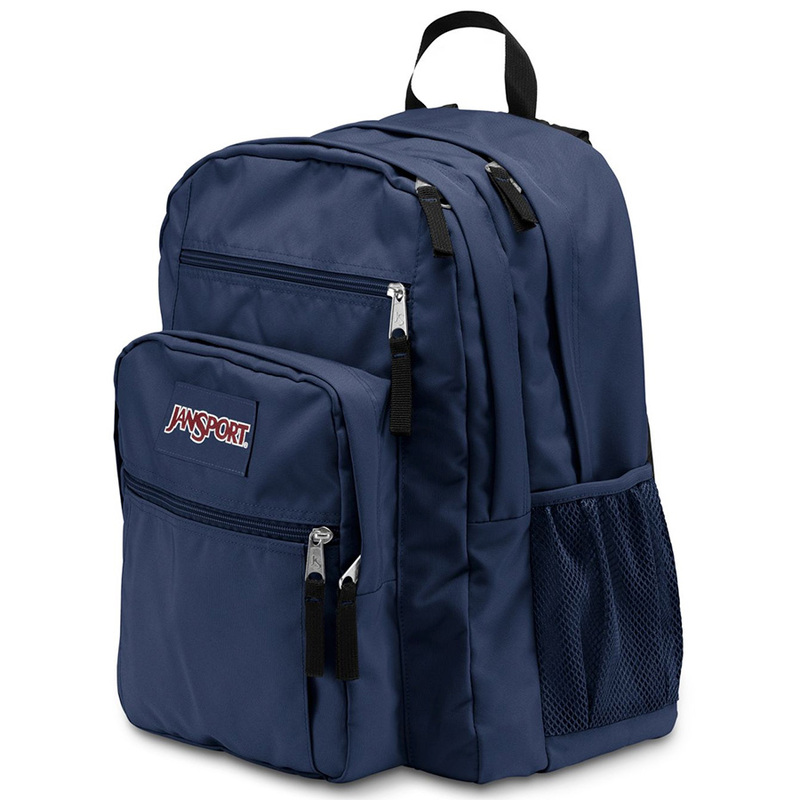 Ergonomic shoulder straps and padded back keeps the Big Student comfortable enough to lug around heavy books all day. Multiple main compartments means each compartment has less room for storage (vs one large main compartment). In terms of carrying capacity, there is not as much room as you think.